This is for 6 jewel shaped soaps. Each measures ~1 inch x 1 inch x 1 inch. 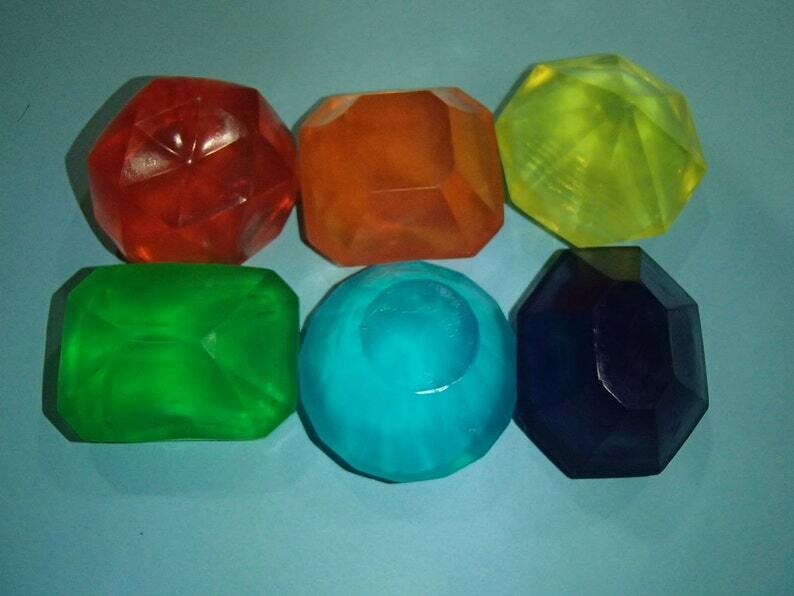 Together the 6 jewel soaps weigh about 4.5 ounces. The set includes 6 random scented and colored jewels unless a specific colors and scents are requested when placing order. These are fun soaps for kids to wash their hands and taking a bath with. The jewels also make fun party favors, especially as treasure for pirate themed parties.